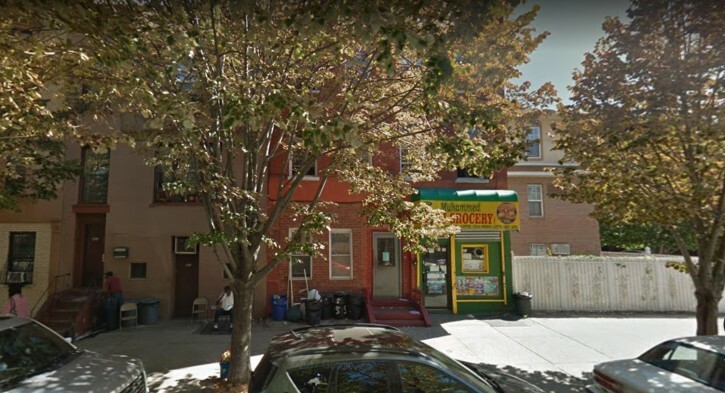 Brooklyn, NY - Brooklyn District Attorney Eric Gonzalez today announced that a Brooklyn building owner was charged with forgery and other charges for allegedly using a deceased’s notary public’s stamp and signature on court filings to try to evict tenants from his apartment building in Bedford-Stuyvesant. Abdus Shahid was charged with forgery charges for trying to illegally evict five tenants by using a notary stamp that belonged to Yitzchok Ring — who died in October 2014. Abdus Shahid, 64, owner and a resident of 455 Tompkins Avenue, in Bedford-Stuyvesant, Brooklyn. Shahid was arraigned late Friday, February 23, 2018, in Brooklyn Criminal Court on a criminal complaint in which he is charged with 28 counts of second-degree forgery, 28 counts of first-degree offering a false instrument for filing, and 28 counts of second-degree making an apparently sworn false statement. He was released without bail. The defendant filed civil suits against five tenants he was trying to evict, claiming they damaged his property. The tenants, who were represented by the Legal Aid Society, claimed the landlord was trying to evict them for filing complaints against him with 311. The alleged forgery was discovered when a Legal Aid attorney representing a tenant noticed the deceased notary’s signature on court filings. In his court filings, the defendant verified and purportedly signed all the documents using the notary stamp and signature of Yitzchok Ring, who died on October 6, 2014. The court documents in the eviction proceedings were filed between March 16, 2015 and September 8, 2016. The case was investigated by Detective Investigator Jacqueline Klapak of the Kings County District Attorney’s Special Investigations Unit, under the supervision of Senior Detective Investigator Michael Seminara. The case is being prosecuted by Senior Assistant District Attorney Vivian Young Joo, of the District Attorney’s Frauds Bureau, under the supervision of Assistant District Attorney Christopher Blank, Chief of the District Attorney’s Organized Crime and Racketeering Unit, and the overall supervision of Assistant District Attorney Patricia McNeill, Deputy Chief of the District Attorney’s Investigations Division. glad to hear, hope he goes after the plentiful frum landlords as well who cheat. Was highly important to mention Yiddn now. Looks like u realky envy all landlords makinf money. Self hating Jew. Obviously illegal, but what difference does it make? The whole purpose of having a document notarized is to verify that the guy whose signature is there actually signed it. And here, there is no question that Mr. Shahid actually signed the documents.